It might seem like a ludicrous idea, completely insane especially if this were to be done today. But the idea of putting a dead pope’s body on trial has some meaning to it when we look at the context of when this was done. 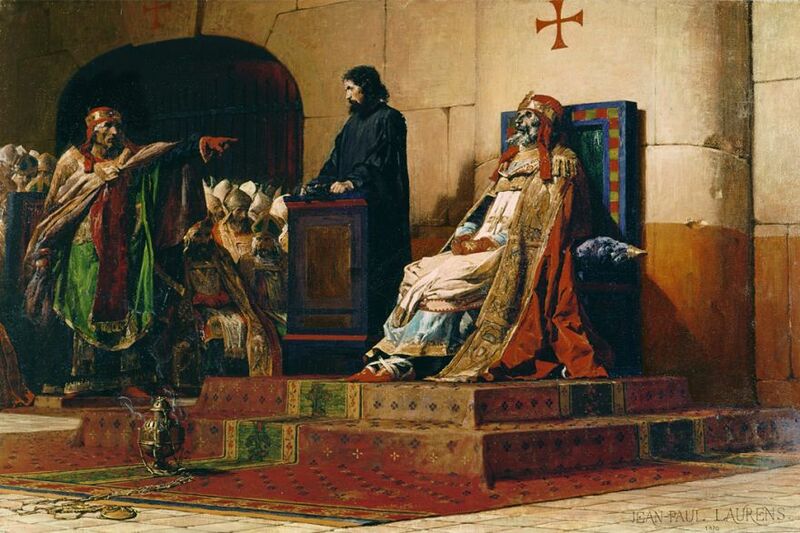 It was 897, and Pope Stephen VI had insisted on bringing his predecessor, Formosus, to court for usurpation. Was it fair? Absolutely not, on any standard. How can a man who was long gone defend himself? So what was this for? Back in those days, people revered those in authority whether they were alive or not. When they have passed on, what they leave behind becomes a relic which people still venerated. In that sense, though the physical body and spirit has died, their "essence" still lives on. This was what Stephen VI wanted to deny Formosus of having. Of course, he won that trial. But a few months later, Stephen would soon find himself dead as well.